MEMRI has a very revealing interview with a former Jordanian prime minister, who signed the Jordanian peace treaty with Israel. 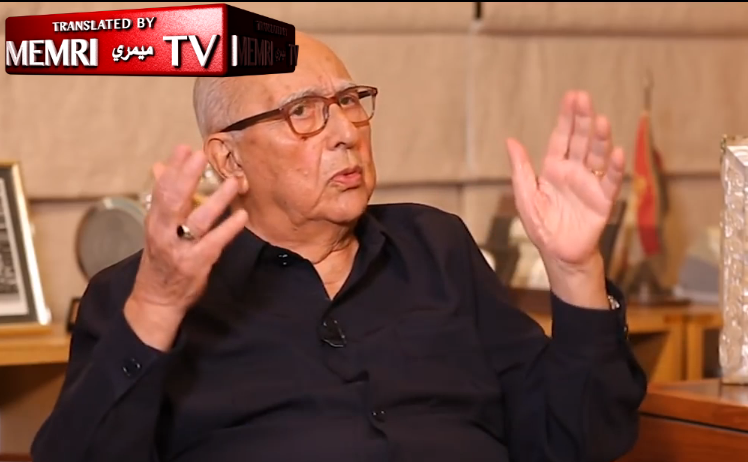 Former Jordanian Prime Minister Abdelsalam Al-Majali: My mentality is a mentality of peace. I believe that peace is the best thing for our nation in its current… or rather, at the time of the peace process, as well as today. It is the best solution for us, as Arabs, and I still believe in it. As long as you do not have force of another kind, peace is your only option. We are interested in five fundamental issues: The land, the water, the economy, the possibility of [Jordan] becoming the alternative Palestine – we are the only ones threatened by this – and security. These are the things Jordan accomplished [in the peace accord with Israel]. What did Jordan want? Its land? It got it back. Jordan wanted its water? We got it back. The economy? We restored it. And on top of all of this, we gained the respect of the world. Am I supposed to liberate Palestine? Is it my job? Host: Some believe that this accord did not accomplish anything. Abdelsalam Al-Majali: How can you say that? Didn’t you get your water? Your land? Host: Israel did not comply with its commitments regarding the water quotas it must give Jordan. Abdelsalam Al-Majali: That's not true! Absolutely not! Israel continues to give us more water than we are due. Host: Didn't Israel divert rivers in the area into its [territory]? Abdelsalam Al-Majali: Sir, you have not read the history books, I'm sad to say. Israel diverted the Jordan River a long time ago. Host: And we didn't get it back! Abdelsalam Al-Majali: Our quota does not come from the Jordan River. When the water was divided [in the peace accord], we got our quota from the Yarmouk River. The Jews get 25 million cubic meters, and the rest is ours. But since we don't have a dam to store the winter precipitation, they took the water. Host: What, they took it, and now it's gone forever? Abdelsalam Al-Majali: No, they have been giving it all back – and more – to us. They have been giving us more than our due. But as for the Palestinian quota – we don't intervene. The Palestinians get their quota from the Jordan River. Al Majali is clearly as moderate an Arab as one can imagine - defending Israeli actions on Arab TV is a bit unusual..
Al-Majali: There are millions of Jordanian Palestinians who have property in Israel. They have the right to get it back or get compensation for it. Host: They will only get compensation? Abdelsalam Al-Majali: I'm not getting into this. It's return or compensation: They will either give them back their land or compensate them. Some people go and collect… in Haifa, Jaffa, and elsewhere beyond the West Bank. Host: Does this serve the Palestinian cause? Host: What, to sell their land for a price? Host: In my view, if they don't sell it and the land remains occupied, it is better for the Palestinian cause. The host says what most Arabs think - that all of Israel is "occupied" and that compensating Palestinians for any property they fled from would be disastrous for their "cause" - the cause of destroying Israel. Abdelsalam Al-Majali: Is it better for them to remain hungry? Host: And selling their land is better? Abdelsalam Al-Majali: Well, what can you do? You lost the land to a military force. You do not have any power. All you do is talk. The Arabs do not have any power. If we ever have military power, will we let them keep Haifa? We'll take it. If tomorrow, we become stronger and can take Haifa by force, will we really decline just because we have an agreement with them? There we go. The most peaceful Jordanian one can find, an actual signatory to a peace agreement, admits that he would tear up the agreement if Jordan could destroy Israel militarily. No one in the Western world wants to admit this but this is the way virtually all Arabs think. And there is nothing in their media that teaches true peace with Israel. The best Israel can ever hope for is a detente that is backed up by superior military force. Israel's military strength is the only thing keeping the Arab Israeli conflict as low-key as it is now.